Next Week is Career Awareness week! Students will be working in the school based NAVIANCE system creating career profiles. 6th graders will be doing a Strengths Explorer. This assessment will develop student understanding of what they may be good at. 7th graders will be taking the Career Key Assessment. This will help students identify prominent personality traits as they relate to careers and education. 8th graders will be taking Career Cluster Finder. 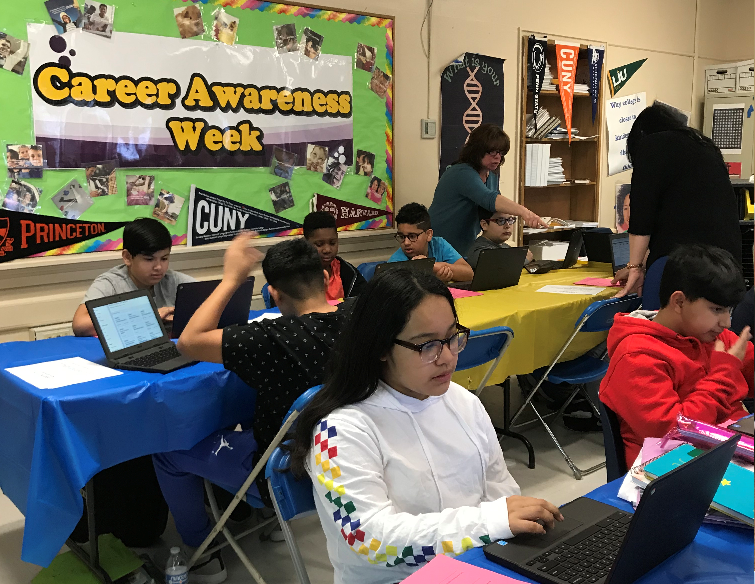 This assessment will help students identify personal qualities and how they connect to their specific top career clusters. Students will be able to research the courses that would be recommended for them to take in high school to pursue their goals. It is going to be an exciting and thought provoking program for our students! Students can continue their research at home through the Naviance family connection website. Mark your calendars! Tuesday April 30th period 6, we will be hosting Melissa Straub. Melissa is a private investigator, and social justice advocate who will be speaking to all our Middle School students regarding the dangers with Social Media.